We’ve been raving about the upcoming Disney movie Brave for a while. We first got to hear about the fiery Merida from Ana when she was invited to learn how the Disney/Pixar magic is made and teased with the first half hour of Brave. We even got to hear from the producer about the process that went into making this movie. One thing is for sure, we are pumped for Brave! And with good reason, or actually five reasons! And now the moment is finally here! Brave hits theaters June 22, but for twenty lucky SpanglishBaby readers and their families Brave will arrive two days earlier! Yes, you read right. Twenty winners from ten different cities throughout the country will have a chance to win a family 4-pack of tickets to an advance screening of Brave in 3D! For a chance to enter this giveaway check out the information below. UPDATE: The advanced screening of Brave in LA has been canceled. If you already entered for the LA screening you are more than welcome to re-enter your form and chose a different city. Sorry for the inconvenience! Eighteen winners will take one family 4-pack of tickets to an advanced screening of Brave in 3D. The screenings will take place in the nine cities listed in the form below (tickets only, no travel, meals or accommodations). There will be two winners for each of the cities listed below. Winners must be available to attend Wednesday, June 20th at 7:30pm and passes are non-transferrable. Tickets will be picked up at will-call the day of the event. Please do not enter if you’re not sure you’ll be able to make it. To enter all you have to do is leave a comment telling us why you’re excited to see Brave and fill out the form below. 2. 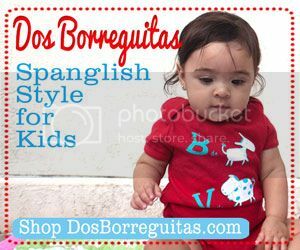 Follow us on Twitter and tweet about this giveaway including a link to the post http://bit.ly/Ns4c6V and @SpanglishBaby. Copy the link to the tweet in an additional comment on the giveaway’s post. This giveaway ends Sunday, June 17 at 11:59 p.m. EST and is open to everyone with a U.S. mailing address over 18 years of age. Check out the Giveaway Rules. My daughter has been talking about seeing this movie since she saw the first advertisement. I like the fact that it doesn’t look like a princess movie. My daughter is super excited to see this movie! She keeps asking if it is in theaters yet. All my son has been talking about is me taking him to see Brave!! We cannot wait! I subscribe to Spanglish baby email updates. It has been a long time since, both, my son and my daughter felt so excited about a movie. We are looking forward to seeing it! Any movie that shows a girl trying to break free from the mold/cast set for her, is one that I’d take my daughter to see any day. Aside from it being a great message for girls, it’s also a good message to send the boys (who will someday be men), that it is OKAY to be a strong girl/woman! Looks like an awesome girl power movie and I love Pixar. Looking forward to seeing it with my kid and my neices. We are always so excited about Disney creations! I would like to see brave because my I would like to take my niece. She has been aware that this movie will come out for over six months now! After a busy academic work year and graduate school, I would love to go out for a movie and what a better movie than Brave! Disney/Pixar movies are usually of the highest quality and the trailers I’ve seen so far for Brave definately fits this bill. I always enjoy Disney movies. I am excited to see this film because Disney Pixar has continually surpassed them selves and I am excited to see what they will do with this story, plus I am just a big kid. love Pixar movies, they are visually stunning ! I am always waiting for the next great Disney movie to share with my son. We always love Disney movies and we have been waiting to watch BRAVE for a long time now. 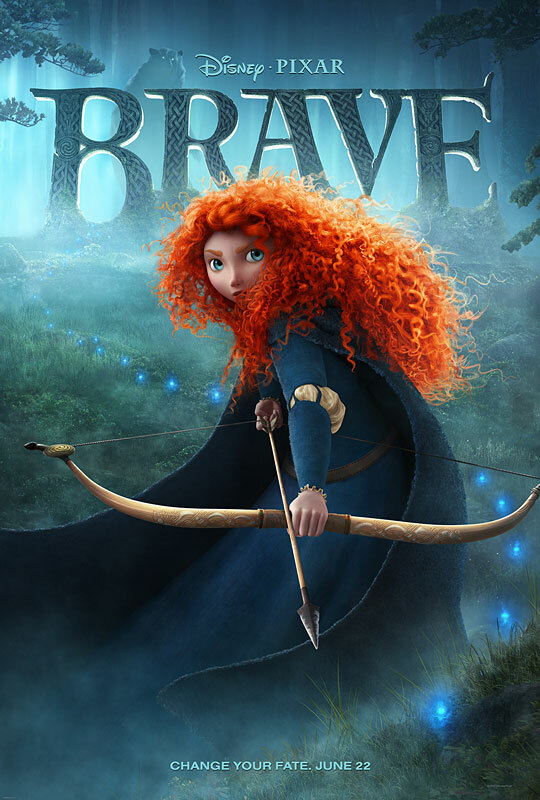 Brave looks like if a Disney princesses and an action hero were blended together, awesomeness. I like reviewing movies & this one in particular looks to be a great family movie worth reviewing. PLus I really like the style of animation.Liked you on Facebook & Subscribed to updates via email. My grandson can’t wait to see this movie and I would love to be able to share this event with him. My daughter Love Disney movies and cant wait to see Brave. Keeping our fingers crossed! I am so excited to see this movie. My grandson would difinately love this. A big fan of Pixar movies!!! I want to be able to take my nephew to this movie it looks like it has a great story. I would love to see Brave because I want to take my daughter to see it. She absolutely loves everything Pixar and Disney and so it will be something good we can do together. This movie looks really cool & the animation looks similar to (how to train your dragon). PLus my little sister wont stop asking me when the movie comes out so she would be so happy if I could take her to see it early. My girls I so excited to see the movie. They are doing their chores without me nagging them. JUST BECAUSE I’M A KID AT HEART!! I love pixar films. I am taking my niece and nephew to see this one. It will be a blast! I love girl heroes!! Girls rock rock – Hungrr games and Brave! Hi, my kids are very eager to see this and they are 11 and 18 so it is clearly going to be a wonderful family movie. Thank you for the chance at seeing this movie early. I have been dying to see this movie !! Im sure its going to be the cutest thing ever… In top of that I love Disney movies they are my favorite! No matter how much older I get I still feel like a child when I watch them !!!! Had friends already attend this screening last week and was told to take the kids, since the kids are on Summer Vacation, this would be a great movie to take them to. Pixar always produces great movies! Liked you page on facebook http://www.facebook.com/uriel.ramirez.735 hope i win tickets for Chicago. I’m excited to see Brave because I’m a curly-haired girl who is finally glad to see a Disney character with big coils like mine, I’m also a huge fan of medieval/fantasy-type books, movies, and tv shows so I will be looking forward to see Disney’s take on this new sort of a “princess” movie. I hope I can take her to find out. My 2 daughters saw the previews and they cannot wait to see this Disney movie! I’d like to see this movie because Disney and Pixar always make wonderful movies. My son has been talking about this movie ever since he saw the trailer. My kids are excited to see a girl cartoon. A girl like Mulan. So this is the cartoon we have been looking for. THanks! I would like to see Brave because the main character is depicted as a strong-willed female striving for change. I’m excited to see Brave because it’s Pixar’s first female lead AND fairy tale! I subscribed to receive blog updates and subscriber-only content via email. I love that this is Pixar’s first female leading character. She is a strong young woman, who is a good role model for little girls everywhere. She’s independent and is all about change. We need more characters like her for young girls. I love all the Disney/Pixar movies, and I think its fantastic that this one is set in Scotland! I would love to see BRAVE because its a PIXAR movie and every one of their movies has a great storyline that pulls on your heartstrings. Many of my favorite movies are PIXAR including Finding Nemo, Toy Story, Monsters Inc. and Ratatouille. Every time I hear that a PIXAR movie is coming out, I bring my entire family out to the theater. PIXAR movies are appropriate for all ages and perfect for any family outing. BRAVE seems like a great movie that empowers women to strive to be independent and to alway achieve anything. It’s great that the movie also focuses on family relationships. My daughter, my fiancee and myself are really excited about seeing this movie because their ate barely movies put there that portray a women as a hero, and its been a long time since a movie like “Brave” has come out in theaters. It’s really exciting. I’m studying to be an animator, and always like to see things done that I wish I inevitably will be able to create. Plus, someone I know is an artist for this movie! I just subscribed and I can’t wait to share this comedy/girl power film with my 5 year old niece. She’s super excited and I want to show how people can take their fate into their own hands. Hope to win them for Miami,FL! Please and thank you. My nieces and nephew are begging me to see Brave it would be great to fulfill their wish. My family is so excited to see Brave. We met Merida at Magic Kingdom over Memorial Day weekend. My children got to shoot a bow and arrow and color with her. It was so much fun! I will like to go to the movies with my only 8 year old grand son. I will be starting chemo therapy on Friday June 16th and most likely will not be able tom have many opportunities to do fun things with my grand son. My daughter has not stop talking about this movie and I love that the movie is not a typical princess where the prince saves the day but the princess is brave enough to save the day! My family enjoys Disney/Pixar movies, I have been keeping an eye out on this one. We started calling my daughter Merida because of her wild hair.(Dallas,TX). My son has been waiting to see this movie for so long! I think just seeing it will make him happy. Followed on twitter and tweeted this. I like a girl who can take care of herself and she certainly seems to fit the bill! becasue my Great-Grandson & Great-Grand-daughter want to see This Movie. They Love All Disney/Pixar movies. I love Disney Pixar films and as a teacher I feel that seeing what kids see and trying to think like them once in a while helps in my job as well as making me a happier and more relaxed person. Because Pixar has consistently made some of the greatest masterpieces in the history of cinema, and I am expecting this to be on that track after the horrid misstep that was “Cars 2.” Also, my little sister is visiting me next week, so that works as well. I’m excited to FINALLY be able to make it to a screening of an animated movie. They usually happen on Saturday mornings and I work every Saturday! So I hope I win this one. Thanks. am excited for “brave” because it’s great to see a young female character take charge of her own destiny. 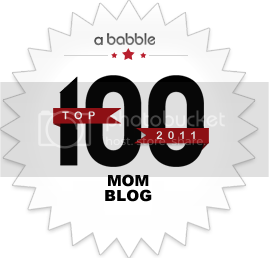 http://bit.ly/Ns4c6V and @SpanglishBaby thank so much for thechabce to go see BRAVE , los chicos estan loco por verla. Reason why i am excited about seeing this movie is because i get to spend quality time with my 6yr old must enjoy the time while i can because they grow up so fast. And also she is thrilled about this movie as well as me we love Disney Pixar movies. My niece would be really excited to see this movie because its different from other disney movies and I think it would be good for her to watch since the princess decides to break tradition although disobeying her parents shes brave enough to do what she feels is best. My daughter is a survivor, although only 6 she strives to do her best in everything she does. She loves this movie already and has been talking about it for months! Oops I think I replied in the wrong area. With so many kids movies revolved around comic books, its nice top have something me and my daughter Camryn can get into without feeling like we had to have read 30yrs worth of comics to keep up with the plot line..lol Super exited! 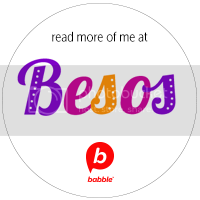 I just stumbled upon your website and am addicted already. I subscribed to your daily newsletter and have spent the better part of my day reading all the blogs and articles (shhh don’t tell my boss). Its awesome. Its a pixar movie, these are always a masterpiece!! I absolutely love Disney Pixar films! They always teach valuable lessons. I’m excited to see Brave because Disney movies are almost always entertaining and I can’t wait to see what the talented people of Pixar has come up with this time! I’ve been DYING to see this movie…more than my cousins actually…its great to see Disney have a female heroine for once and not as the damsel in distress…plus i love the triplets they are too cute! I’m exicted to see Pixar first female lead! I am excited to see BRAVE because I have two girls and we love movies where a girl is the hero! We also love Disney Pixar movies. My daughters-in-law have enrolled all of our grandchildren in foreign language classes. Two of our granddaughters have been in immersion classes since kindergarten. Disney/Pixar movies are always wonderful for children of all ages. And Grandparents also. Our grandchilren will love us for taking them. They have been telling us about this movie for some time now and they are anxious to see it. Thanks you for providing this opportunity, especially for grandparents who live on a fixed income. I want to take my nephew to see the movie. He is very excited about the movie. Disney + Pixar + strong female character + accents + cute bears. What more does anyone need?! My girls and I are so anxious to see this movie looks so cute and Disney movies are the. Best.. No matter how old you are they always have a meaning. would love to take my niece who is in town visiting, she’s from the country and this is her first time to NY, the Big Apple and she’s excited and would love to take her to see this in a great, big NY theater! My son loves watching the trailers on his Disney movies. Would love to take him to see the full movie. And if I had a twitter I would retweet it but I don’t have one But it’s the thought that counts? I hope I win! I love this movie already, would be so happy to get my hands on those tickets! i ‘liked’ your site on facebook! My children and I are excited to see this Obie because we use these time out as quality family time. My daughters and I are most excited because it shows how a female can take charge of who she is and what she believes in and do things that people don’t believe a female can do. This movie is inspiring to young ladies and I believe my daughters will benefit from seeing this. Disney and Pixar films are all amazing and my younger sister would totally LOVE to see it because this is all she has been talking about. I would love to see an advanced screening of Brave because the movie reminds me of my family! My parents are into Disney as much as I am and being able to see it would be a great and fun time to spend with them! I am excited to see Brave because I’m a big fan of Pixar and also need to review this film as I am a film critic, not professionally though.